Shelley Williams didn’t seem like someone in great need of personal transformation. It was 1996. Williams was a young dancer working professionally in Los Angeles who’d emerged from UCLA’s World Arts and Cultures program, earning a B.A. with an emphasis in modern dance, intercultural performance, West African Dance, and integrated arts education. But she was also working as a waitress and struggling to keep up with the pace of her life. “I was kind of spinning my wheels, running around like a chicken with my head cut off,” Williams recalled. Then one day one of her restaurant patrons made a suggestion that would deeply alter the course of William’s life, and as a result, the lives of hundreds of people who live in the South Bay. 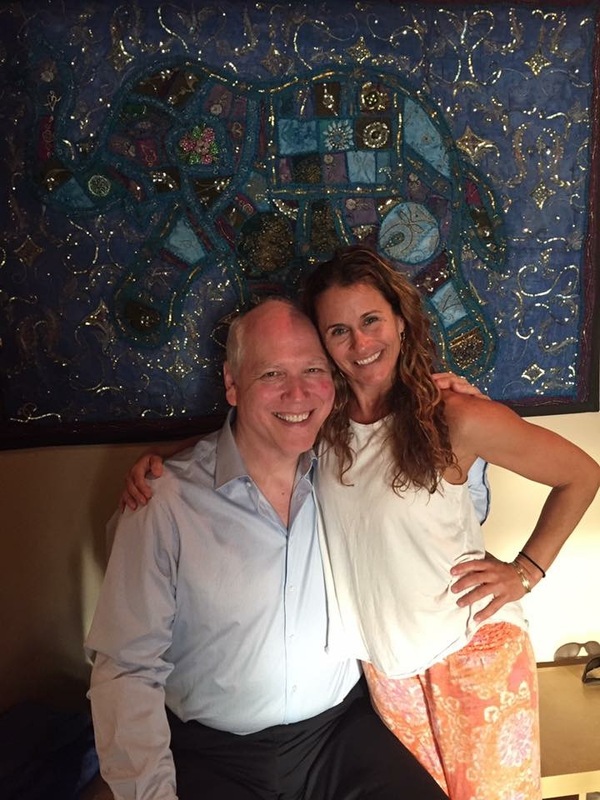 She arrived for a class at Maha Yoga in Brentwood; from the moment Strom stepped into the room, Williams knew she’d found one of her life’s great teachers. As the practice progressed, the experience deepened. Williams became a student of both Max and another teacher, Shiva Rea (originally from Hermosa Beach), and when he opened up his own studio, Sacred Movement, she followed. There, she would eventually train with him to become a teacher. As the years passed, she was continuously struck by Strom’s presence. Williams would eventually become one of the foundational teachers in the South Bay’s burgeoning yoga community. Strom’s journey as a teacher was also just beginning. He would became a teacher known worldwide, not just for his work on a yoga mat, but as the author of one of the seminal books in the yoga movement worldwide, “A Life Worth Breathing.” His teaching has moved far beyond the mat. He’s a featured TEDx speaker, and earlier this year spoke at the World Government Summit in Dubai. Yet in the course of his global travels, Strom still manages to touch down from time to time locally, particularly to reunite with his former students. 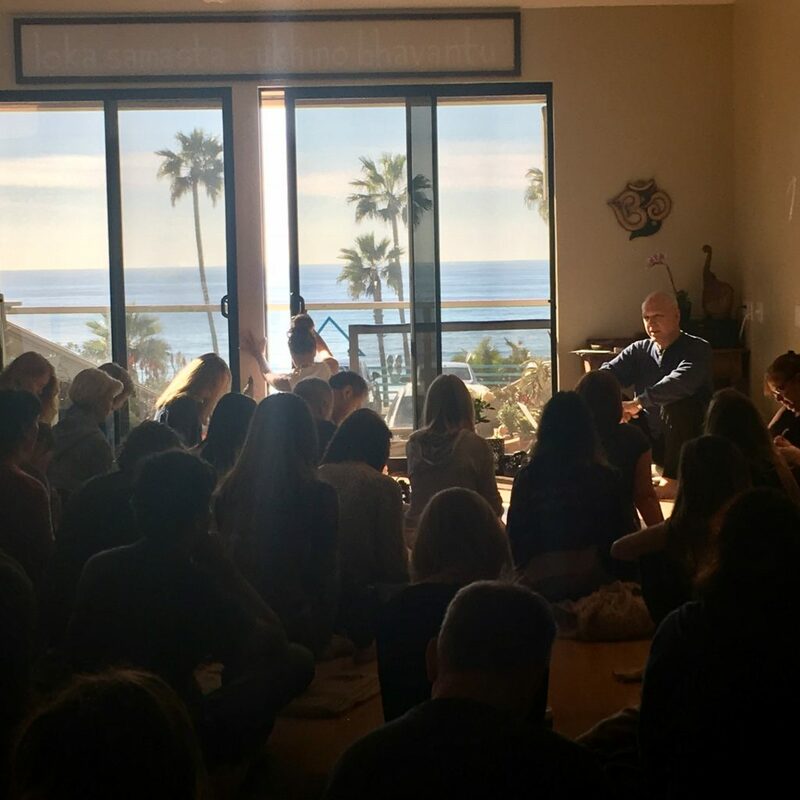 On Sunday afternoon, he’ll give a workshop — “Crisis as the Axis for Transformation” — at Yoga Loft, a little yoga studio overlooking the Manhattan Beach pier where Williams is among the teachers. Yoga Loft founder and teacher Suzy Nece said the experience of learning from Strom is as invigorating for yoga teachers as it is students or even those who’ve never encountered yoga before. Max Strom’s arrival in this world didn’t come with auspicious signs that he would one day become a yoga practitioner much less a preeminent teacher. He was born as a 12-pound baby with clubfoot, and spent the first six years of his life in a series of casts and braces meant to straighten his feet. After two corrective surgeries, he was finally able to walk somewhat normally (his feet were three sizes different from each other), but the time in casts left his hips so inflexible he couldn’t cross his legs. He’d also broken his thigh bone at age 4 and his elbow at 10 (falling from a tree), the latter which caused him to lose 40 percent of the use of his elbow joint. But what Williams surmised within seconds of encountering him — that he was an elder, a carrier of ancient wisdom — was a quality that emerged early in Strom’s life. Though raised by an atheist father and agnostic mother, Strom was a born seeker. At 15, Strom, who is from Santa Cruz, found himself drawn over and over again to solo trips into the nearby woods. Without knowing it, he’d found meditation, though he may not have called it that at the time — he’d sit on a mountainside and find stillness. Around the same time, he began experiencing profound, mystical, almost prophetic dreams. The experience shook him, and sent him on his own self-studies. By 19, he’d studied Taoism, modern and esoteric Christianity, Sufism, Buddhism, and Qi Gong. What he had not found, however, was a teacher. So he abandoned his studies and became a musician, first with a progressive rock band and later a New Wave band, and later a working screenwriter in Hollywood. At age 34, he realized that though he’d gained a lot of knowledge, and even some fame, in the swath he’d cut, his life was bereft of meaning. He hit a crisis point; he went financially bankrupt, and came to the profound realization that he was not happy and never had been. On his 35th birthday, a friend, as a gift, insisted Strom come to YogaWorks in Santa Monica for a class. By mistake she took him to an advanced class. It felt disastrous; Strom sweated, shook, almost threw up, and fell sound asleep at the end of class. But afterwards he was utterly shocked to find himself in a state of euphoria that lasted two days. Soon he was practicing four days a week. He was awful, compared to the other students — he had no flexibility, and nothing came easy. But as he dropped his competitive nature and accepted his limitations, a funny thing happened — those limitations disappeared. Becoming a teacher was hardly a choice. It came to him, literally — friends began seeking him out. Max Strom, clubfoot, rock star, lost seeker, had found his path. I started a yoga practice three years ago. I was 47 and my body, due to 10 years working in the Alaska fisheries, had a lot of miles on it. A friend dragged me to Yoga Loft in Manhattan Beach. Suzy Nece taught that first class. I sweated and struggled and felt ridiculously awkward; I couldn’t touch my feet much less stand on one leg for “tree pose” or with a leg folded under me for “pigeon pose.” In fact, I could barely walk on my right leg — the years of slipping and leaping on boat decks were catching up with me, and it seemed knee surgery was unavoidable. But Nece, who is also a comedienne, somehow made the discomfort more comfortable. Everybody in the class of about 20 people laughed throughout the 90 minutes; she seemed to be everywhere at once, guiding, cajoling, delivering one-liners. The soundtrack featured everything from Indian ragas to Rickie Lee Jones’ “Chuck E’s in Love.” Afterwards, I felt more alive, with a warmth coursing through me unlike anything I’d previously experienced. It was a natural high, one that came with clarity rather than fog. I returned several times over the next few weeks, and began to understand basic asana practice. But my knee made a lot of things impossible. A month later my knee’s pain had subsided and its flexibility increased. Three years later, my knee is stronger than it’s been since I was 25, and my yoga practice has transformed every corner of my life. I’ve dropped 20 pounds, I eat more consciously, my home got cleaner, and I like to think I’ve become a kinder, somewhat more conscious person. Yoga has, quite literally, taught me how to breathe. Which brings us back to Max Strom. My second yoga teacher was Shelley Williams. As noted, she was drawn into yoga through profound encounters with Shiva Rea and Strom, the latter who later asked her — much to her surprise and initial reluctance — to train with him to become a teacher. A decade and a half later, she is, along with Nece, a much-revered teacher of teachers. Strom is not from the South Bay, but he’s impacted hundreds of lives locally through his former student and the teachers she has taught; it’s all a big circle. The practice of yoga is 5,000 years old. Sages throughout the centuries — including the authors of the Bhagavad Gita, the Upanishads, and the Yoga Sutras — are in this manner still teaching even today’s spandex-clad generation of yoga practitioners. What Strom has done, particularly in his books (his second is titled, “There is no App for Happiness”) is adapt this ancient knowledge to specifically apply to the unique dilemmas of 21st Century life. He warns against the danger of “a near-life experience” that can result from allowing technology and the wild fluctuations of our mind rob us of the precious moments that comprise our lives. Most of the lessons are timeless. Quotes from the Bible, Lao Tzu, Pythagoras, the Buddha, and the Bhagavad Gita adorn the facing page; Rumi, Thoreau, Gandhi, the Torah, and Mother Teresa make appearances later. The wisdom of the yoga sages is consonant with the wisdom all the great elders passed down to humanity through the ages. What Strom has done is look deeply into the particular ills that afflict modern society. Our technological wonder world has achieved much to amaze and often better humanity, Strom notes in “There is No App for Happiness,” yet it’s come at a cost. In 2009, suicides outstripped car accidents as the leading cause of injury death in the United States. A 2012 West Virginia University School of Public Health Study found that suicide rates had increased 15 percent in a decade. Strom, who started teaching yoga just before the dawn of the internet and the cell phone, has noticed a change in the afflictions affecting his students since these technologies ascended to the center of American life. His fundamental job, he said, is as an observer. And what he has noticed as technology has creeped further into the fabric of consciousness in an increasing disconnect — between people, and between each individual and his or her own inner life. Strom is not against technology, but he warns of a physical and spiritual malnourishment that is often attendant with its overuse. 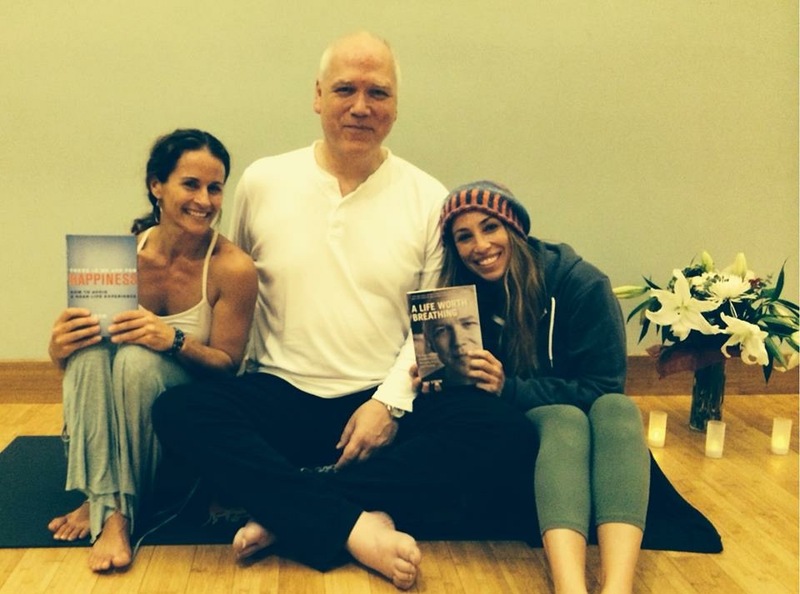 Last Nov. 20, Strom was scheduled to give a workshop at Yoga Loft. 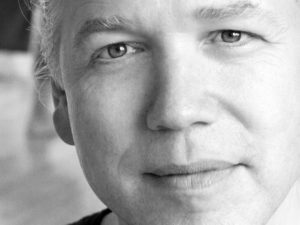 The day before, shortly after giving another workshop in Santa Monica, he had a dawning realization: he was suffering a heart attack. He calmly checked and found an Uber two minutes away and realized he could get to a hospital quicker that way than with an ambulance. Thirty-two hours later he underwent an operation to put a stint in his heart — a piece of modern technology that helps him remain a vibrant man. Two weeks later he came to Manhattan Beach. Nece said that workshop was transformative for everyone present. And that, said Williams, is also yoga. Max Strom leads a workshop, “Crisis Is the Axis for Transformation,” on from 1 to 3:30 p.m. August 6 at Yoga Loft (112 Ocean Drive, Manhattan Beach). $55. Bring a mat and writing materials. For more information see yogaloftmb.com or MaxStrom.com.